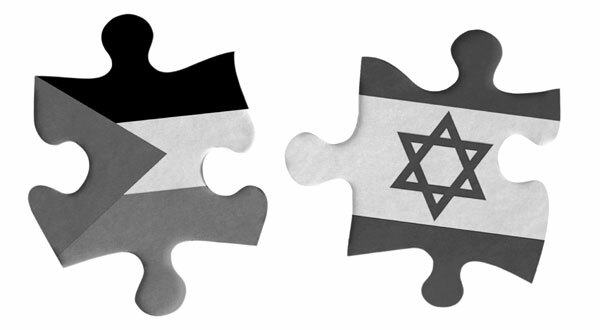 טאנה נאזאן 2 تنه نزن ۲ .Taneh Nazan 2: Article from Faryar Nikbakht - Must " REVIEW " the Palestinian " issue "
Article from Faryar Nikbakht - Must " REVIEW " the Palestinian " issue "
Once again, around the Jewish new year, the Palestinians have created a media show, misusing their own holy places for getting headlines, then decrying "desecration" by the Israelis. The Palestinians consider themselves primarily as Arab and as Islamic ( read their constitution below). They espouse all the age old racist and exclusivist Pan Arabism, as well as highly discriminatory and brutal Islamic laws - discriminating particularly against non-Muslims- as prescribed in the Islamic code of laws, i.e., the Shari'ah. Discussing history, will take us back to the brutal Arab invasion and colonization of the region; however, discussing today's issues from the stand point of human rights, secularism and democracy, will help bring about a better situation in the region. The Palestinian constitution however, leaves no path to such a future and I am NOT surprised that the Western powers have accepted it without any criticism or reservations. Before the establishment of Israel ( and before Israel's liberation of Jerusalem in 1967), Jews were not allowed to worship at their holy sites ( except in rare occasions and except when they hid under Islamic garb and appearance, as describer by our grand fathers visiting the area) and they were not allowed to go back to live there, even though Arab tribes colonizing the area, and other Muslims occupying it ( like the Ottomans) were allowed to live there as they liked. This is how they kept this area as an overwhelmingly Islamic occupied land till 1967. Islamic supremacism, and hatred of others, caused the Crusades, finally resulting in the expulsion of the Christians from the Jerusalem and coastal areas, as rulers and or owners. Islam in the end, became the exclusive and supreme power in the area, and that is at the core of the conflict today: One nation/people has been able to take back a small part of a Muslim occupied land, and this insult alone, is worse than many huge historical events before or since. Identical arguments are given against the Armenians ( occupying "Muslim" and "Turkish" lands !!! ), and ironically against Shiite Muslims, by the pure Muslims of the ISIS !!! These days, the biggest shock among the Shiites is WHY the ISIS is killing Shiites instead of Jews ( assuming the Jews really deserve being killed). After 1967, both Muslims and Jews have been able to share common holy places ( such as the tomb of the Patriarchs/Matriarchs in Hebron/ Al Khalil : where Abraham, Sarah, Isaac, Rebecca, Jacob and Le'ah are believed to be buried) . They have separated visiting hours between Muslims and non-Muslims, in the morning and the afternoon. Some Jews still go to visit the Temple Mount ( mainly the Omar Mosque - purposely called something else in Iran !!! Even on the Iranian money, the Mosque of Omar is pictured, but called "The Al Aqsa Mosque !!!!!!!!!!! ) and the Al Aqsaa area nearby. The Al Aqsaa is actually under the directorship and ownership of the Islamic Waqf, headed by the King of Jordan and handled by Islamic authorities, but the area is under Israeli sovereignty. The Western Wall ( Wailing Wall), actually an ancient retaining wall, protecting the filled and flattened area above, where the Jewish Temple used to be)- is right underneath one side of the raised Temple Mount. Muslim agitators bombard the worshipping Jews below with stones once in a while, and cause Israeli attacks above, to save lives below ! Stones falling about sixty feet, can easily kill people . Muslims world wide have vehemently refused to share this area, among believers of different faiths. President Abbas is now inciting an intifada, to save Jerusalem (!!!) from Israeli aggression, mainly because the regional Arab and Islamic atrocities in Syria and Iraq have taken over the headlines; however, what he is saying is NO DIFFERENT than his Islamic predecessors or the ISIS. a- The PA President claims that they OWN ALL the Holy Places in Jerusalem, including Jewish and Christian sites. Of course they claim there are NO Jewish holy or historical places there ! b- He clearly declares they are not intent on SHARING these places with the Jews, because they are "NAJESS" and their STEPS will DESECRATE the holy places. Abbas is using the age old Islamic hate campaigns against the Jews by calling them Najess, as they did in Iran ( where even baths, water sources and water faucets in that dry and parched land were often segregated between Muslim and non-Muslim until the modernist Pahlavi era) and other places, long before Israel even existed. This however, was terribly effective on inciting Muslims and caused many killings and exiles throughout history. c- The suit and tie wearing Islamists in the Palestinian government, refuse to share common holy places, and long for the days when Islam exclusively owned, ruled and used these places, and kept them "clean" from filthy ( najess) Jews and Christians. d- He declares every Muslim who dies in this conflict a martyr or 'Shaheed"( mainly the children they send to throw stones and bombs- and who are naïve enough to believe their leader's opportunistic announcements), will GO TO HEAVEN. Is there any difference here between the ISIS and the PA, as far as their own young and stupid followers are concerned??? وأكد أن «كل قطرة دم أريقت في القدس هي دماء زكية ما دامت في سبيل الله، وكل شهيد سيكون في الجنة، وكل جريح سيكون له الثواب، إن شاء الله». "...every drop of blood shed in the Quds ( Jerusalem) is in fact clean (pure) blood shed in the path of God, and every martyr shall live in heaven, ..."
«دولة فلسطينية من دون القدس لن تكون، يجب أن تكون الدولة الفلسطينية بعاصمتها القدس الشرقية التي احتلت عام 1967، ولن نسمح بتمرير إجراءاتهم وتقسيم الأقصى، لأن الأقصى لنا والقيامة لنا، لا يحق لهم أن يدنسوهما بأقدامهم القذرة، ولن نسمح لهم، وسنعمل كل ما نستطيع من أجل حماية القدس«.
" Al Aghsaa is ours, the "Ghiamah" ( Christian Church of the Holy Sepulcher) is ours and they ( the Israelis) have no right to desecrate it ( another form of the term "najess") with their dirty ( Najess/ Al Ghozraa) steps ..."
A part of one ARAB NATION ( you may not remember that before Jordan gave up the West Bank, the war was called the " Arab -Israeli" conflict, but they changed it to Palestinian... conflict because they wanted to get away from the proposition of sharing the ARAB occupied lands, saying that Palestinians are not Arabs, but an independent nation with nowhere to go except this little bitty piece of land........ In their constitution, they are still ONE ARAB nation. They put on their ties and wear suits, but their constitution is still ISLAMIC. They give certain limited rights to mother "monotheistic" religions ( others will be the Kuffaar- like in other Islamic lands), under the Islamic Shari'ah, meaning they will be D'himmis ( second class , temporary citizens). The Shari'ah is still the basis of their law. The difference is that the European media, cleans up their image, making people forget what they intend to do.